This summer, I decided to sit on main street between teaching classes and sketch the "summer scene" of people coming and going. I did a series of 4. They may become studies for future woodcuts or just remain as fun pastel sketches. 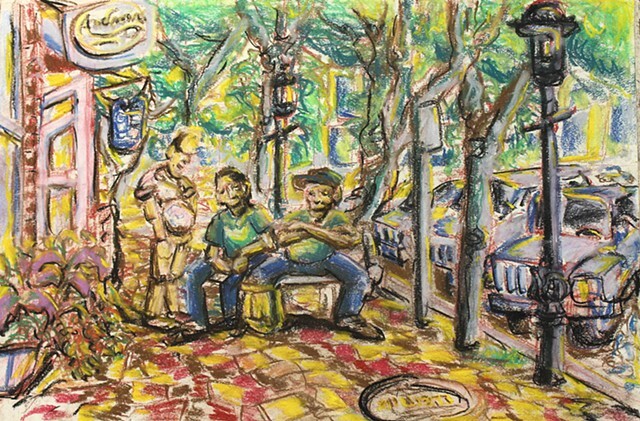 This one captures two workers resting after the day is over, chatting, and taking in the scene.